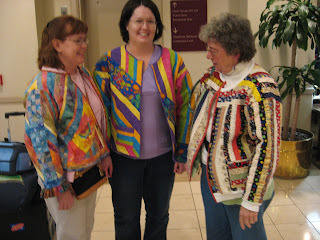 Fabaddict found two other quilters who had made their jackets. 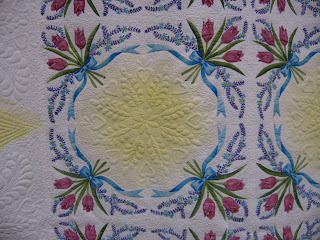 This tulip quilt was painted and beautifully machine quilted. 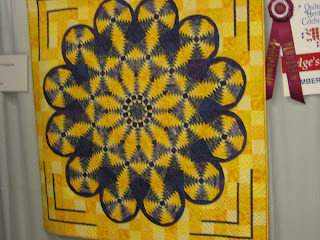 And here's a Pineapple Dresden Plate quilt for you.